Iran-Air collapses: Our economy is in ruin, even civil-servants have to do with no pay for months. But we do pay for nuclear, rockets and space. 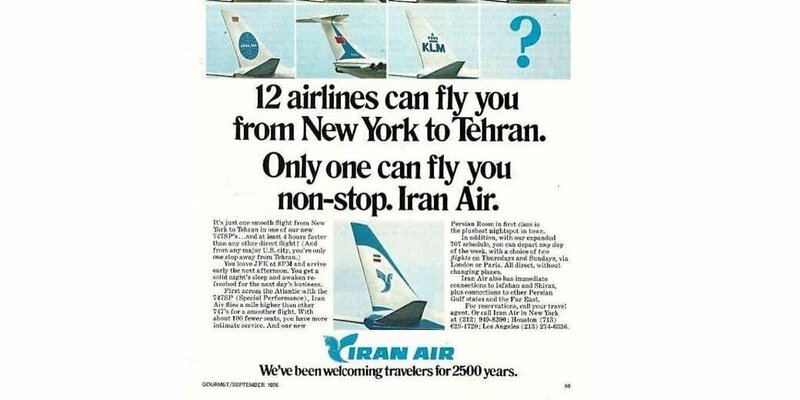 IranAir shall collapse in a short time. It is a Flying Coffins airliner. After 46 years, its representative in Geneva closed. For more than three decades, its European activities were limited but were fundamental to the Islamic Republic. 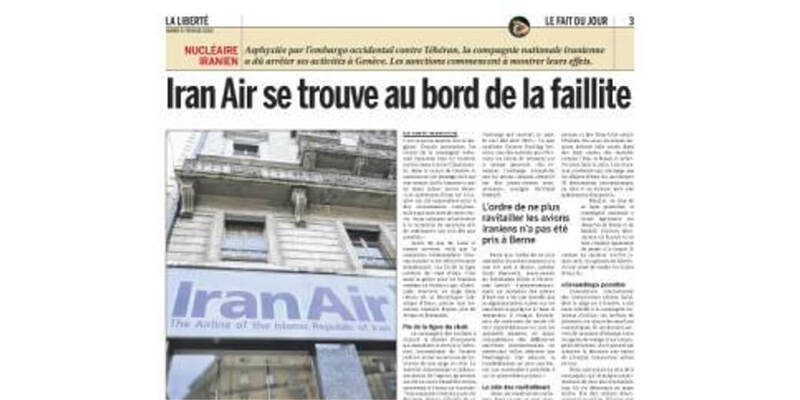 All information and documents on the history of IranAir in Europe and Switzerland will be welcome for publication. We would respect anonymity of our correspondents. However, rumors and undocumented texts will not be published. We do not have a credible airliner. Bankrupt, IranAir collapses. Nonetheless, shall President Mahmoud Ahmadinejad travel to space? Shortly before the French Revolution of 1789, it was reported that the queen of France was told that hungry population had no bread. She replied that instead, they could eat brioche. Several months later, the queen lost her head under the guillotine. We travel from Zabol to Toos by dilapidated bus and many problems on the route. 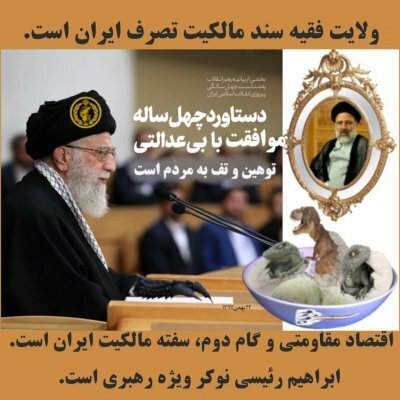 But the puppet of the Islamic Republic will be sent to space. This is our tragedy: Our economy is in ruin, employees are not paid their wages; even civil-servants have to do with no pay for months. But we do pay for nuclear, rockets and space. We do not have bread but we lavishly spend on parties to the honor of Abolfazl, some Emam to impress our neighbours. Our puppet will keep his head. We do not have the will to improve our future. Sadly, the list of Iranian aviation accidents and incidents is long.